The light cruiser USS Houston (CL-81) in Norfolk on January 11, 1944, in camouflage 32/1D. The vertical colors used were dull black (BK) and light gray (5-L). Photo source: NARA BS 60239. 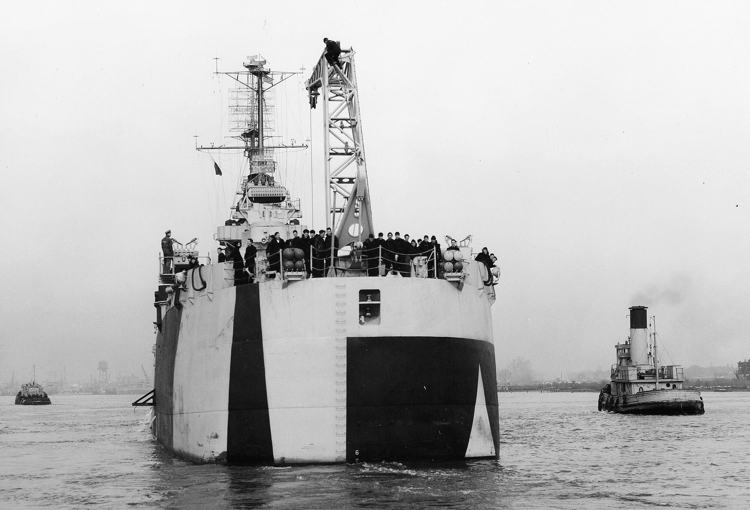 Houston is shown again at Norfolk on January 11, 1944, from the stern showing the panels there. Photo source: NARA BS 60243. This is USS Houston (CL-81) in another photo in the series at Norfolk on January 11,1944. Photo source: NARA BS 60241. Houston again this time probably in Chesapeake Bay on February 24, 1944, in 32/1D. This photo was taken by airship K-72 of squadron ZP-14. Photo source: NARA BuAer 215613. This is USS Houston (CL-81) off the east coast on April 3, 1944, wearing 32/1D. 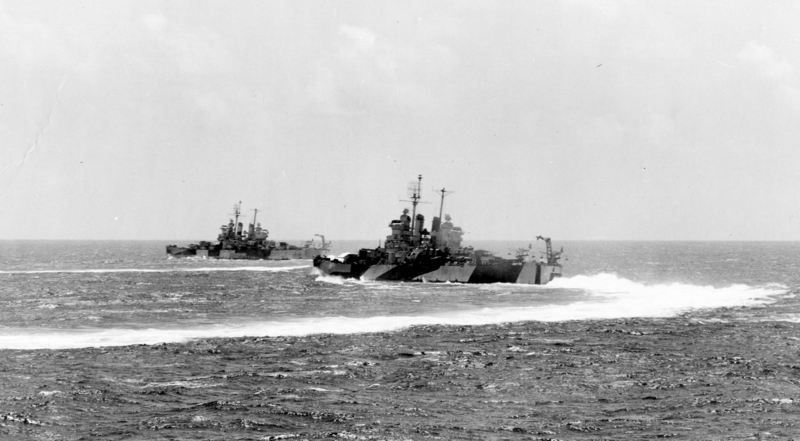 USS Houston (CL-81) at Ulithi on November 1, 1944, in camouflage 32/1D. Houston was damaged by a Japanese torpedo and is being repaired by USS Hector (AR-7). Hector is wearing camouflage 32/4Ax. Photo taken from USS Essex (CV-9). Photo source: NARA 80-G-373678.